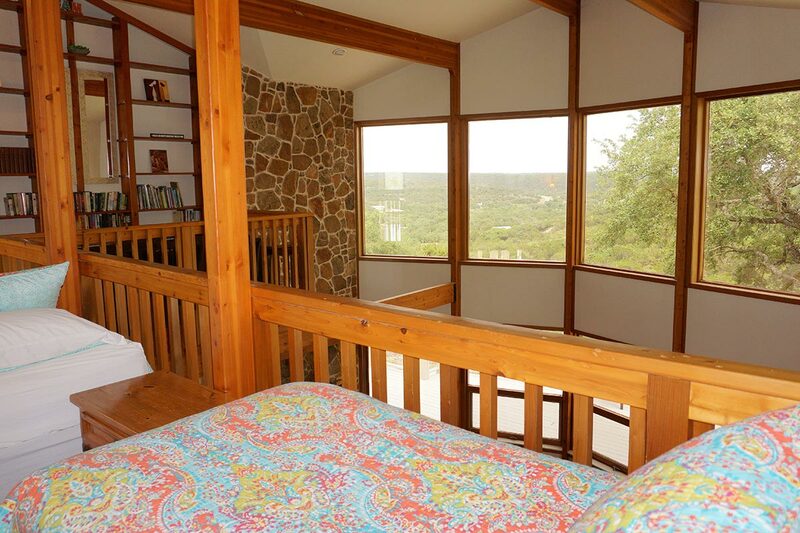 Vista Verde is a peaceful hilltop retreat, surrounded by open land and sweeping views. 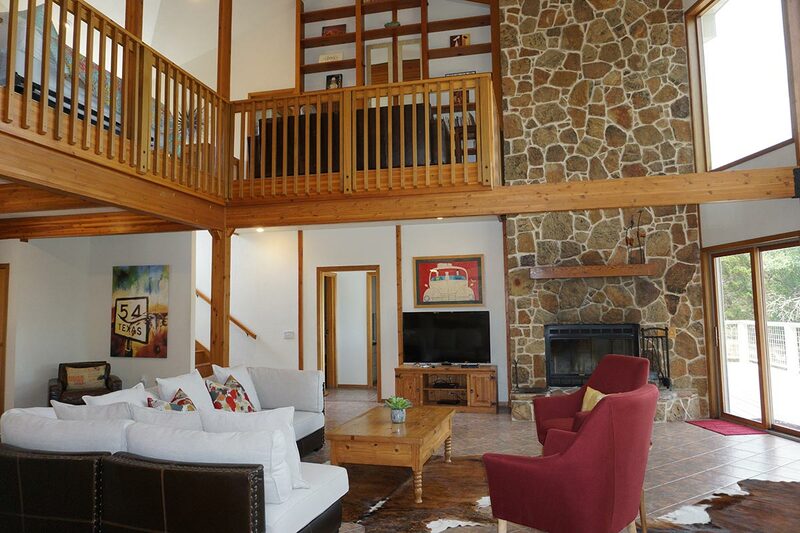 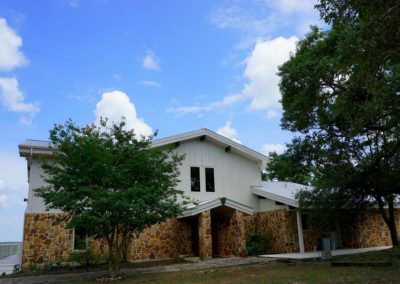 The 3000+ square foot property has cathedral ceilings and a wood burning fireplace. 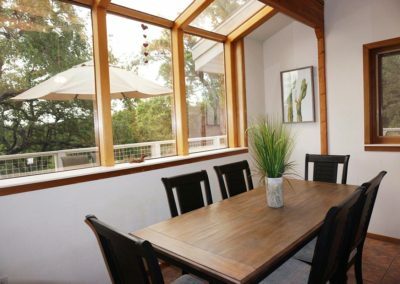 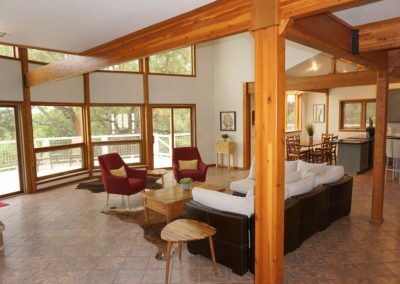 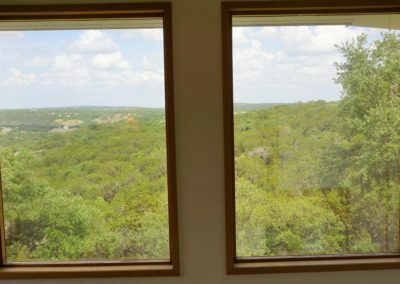 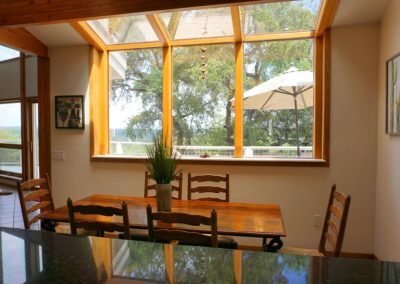 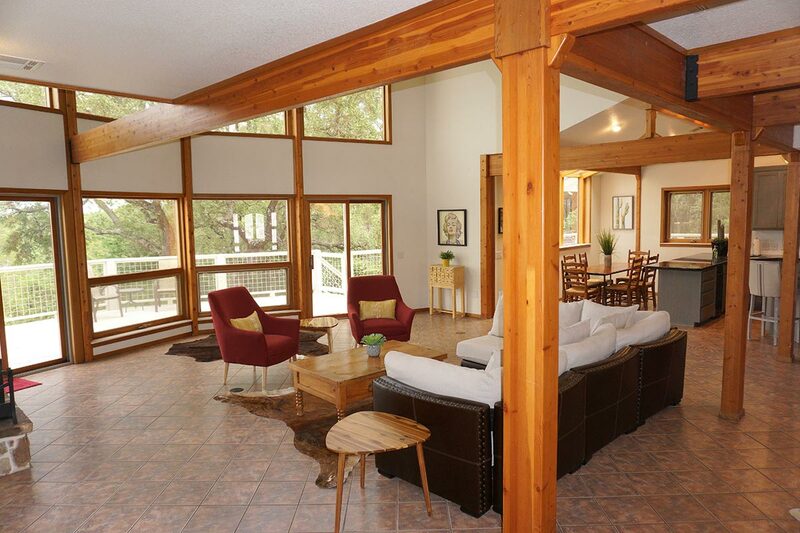 It also has floor-to-ceiling windows in nearly every room — perfect for gazing at the deer and other wildlife. 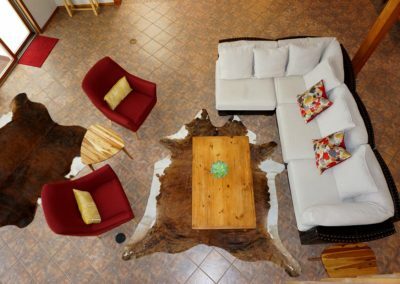 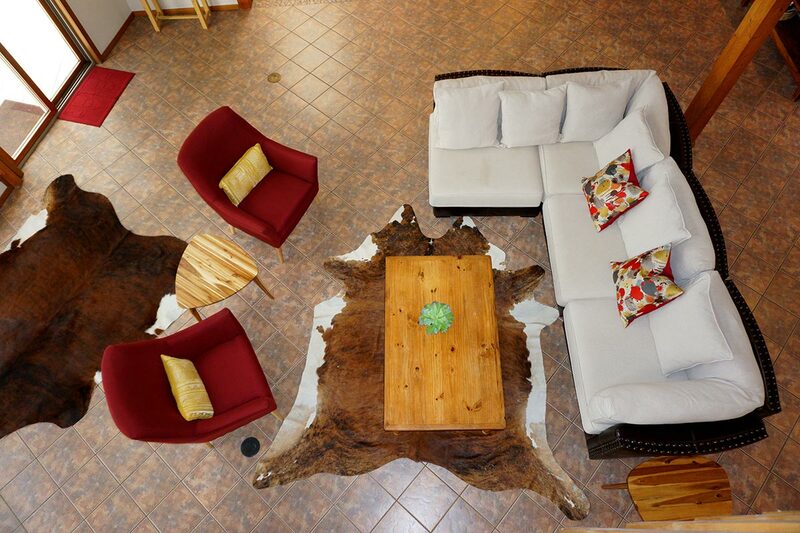 The home is decorated warmly with rustic and comfortable furniture. 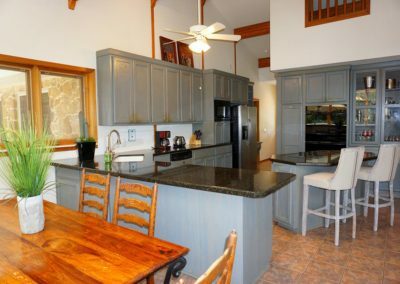 You will love cooking in the gourmet kitchen, equipped with a double oven, Thermador cooktop, refrigerator, granite countertops and space for indoor service/seating for plenty of guests. 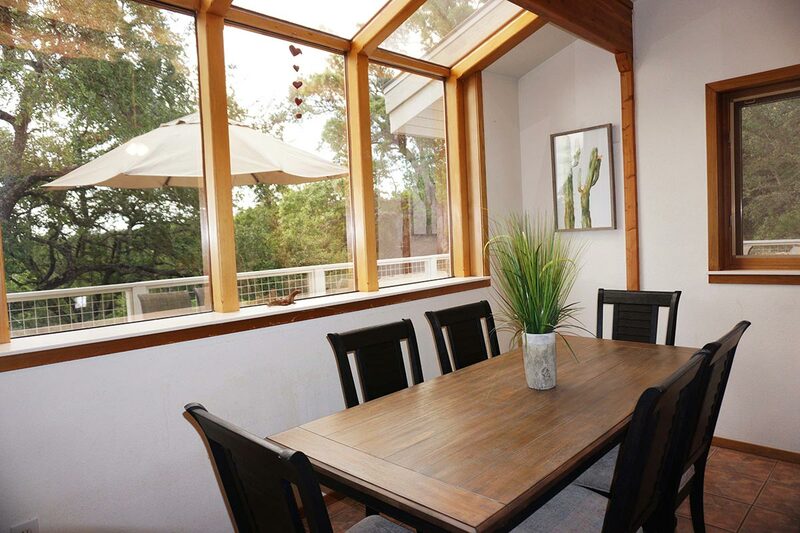 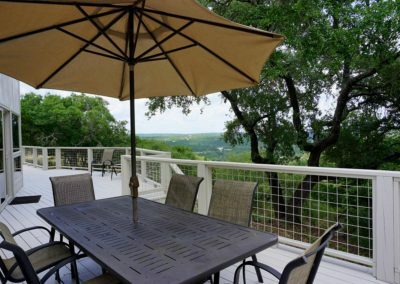 Enjoy outdoor dining on the expansive deck. 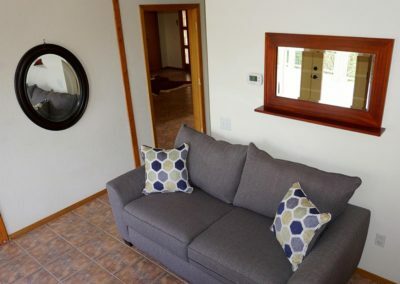 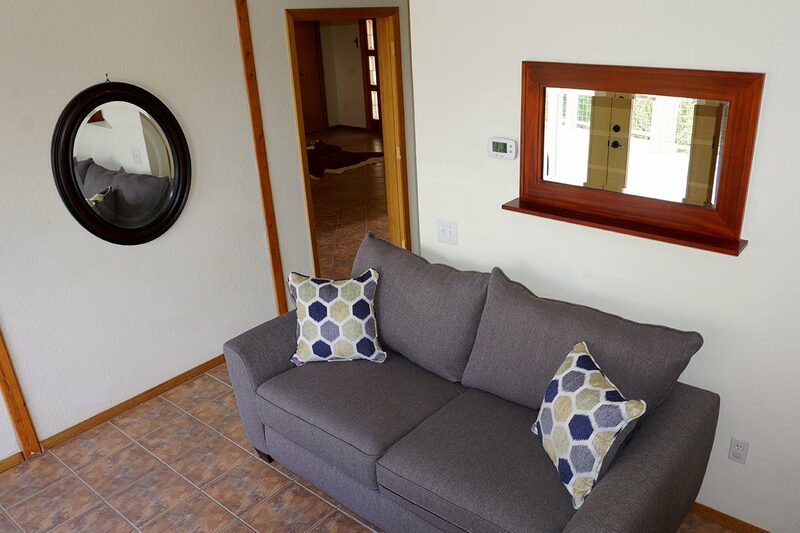 At Vista Verde you’ll find all the conveniences of home, including free wireless Internet service and an HDTV with DISH cable. 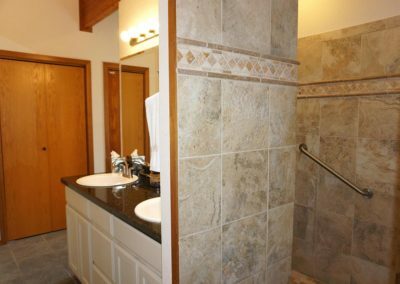 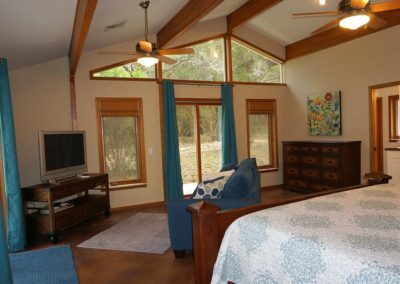 There are two bedrooms and two bathrooms downstairs, including the master suite, and one bedroom and a large loft upstairs. 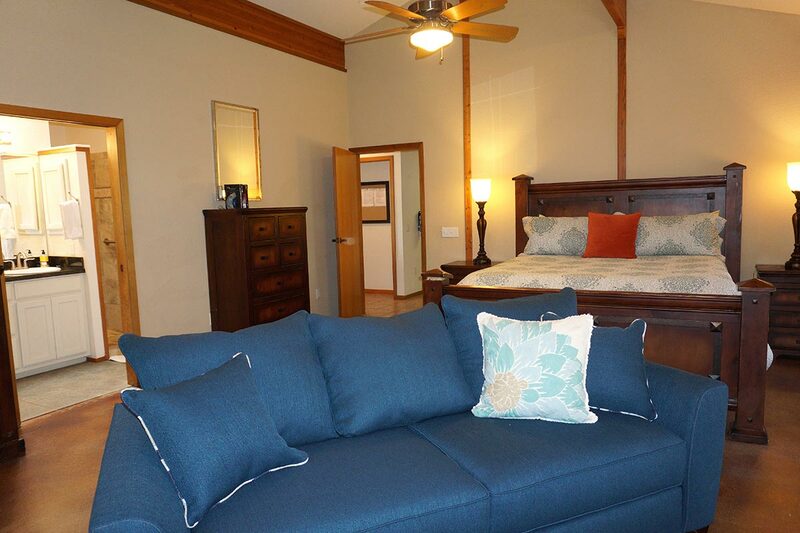 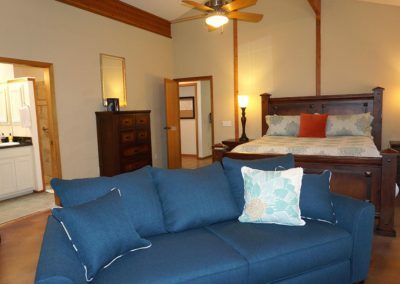 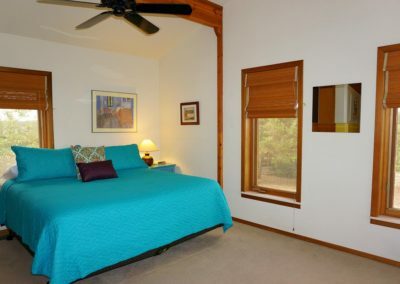 The master suite has a king bed with a memory foam mattress topper, perfect for a deep sleep. 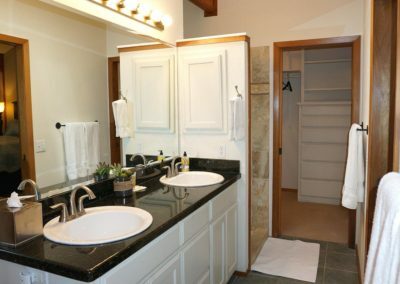 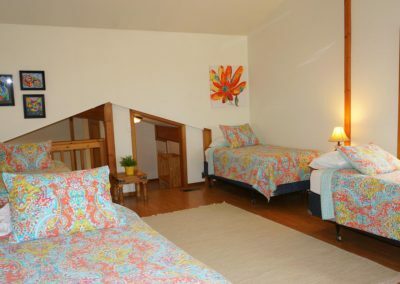 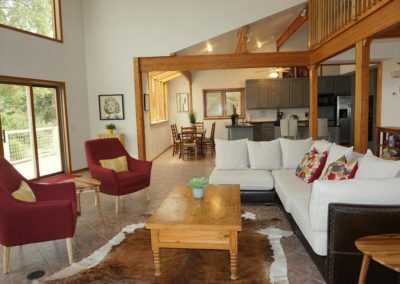 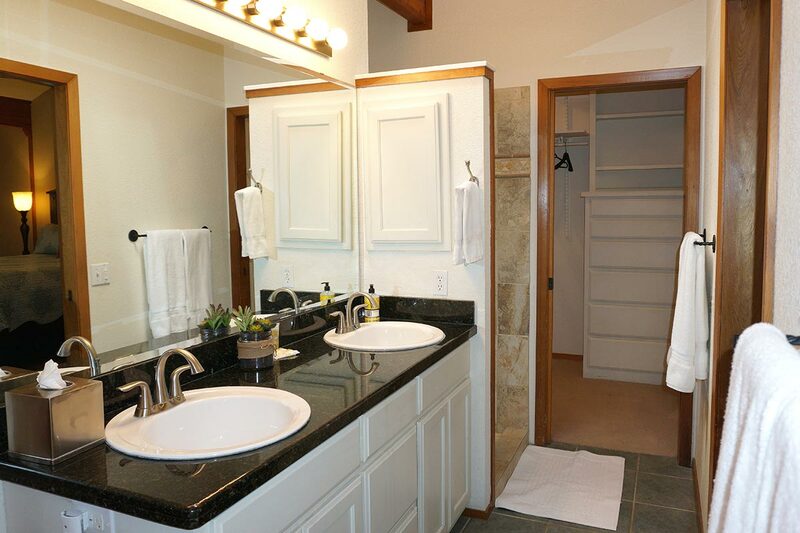 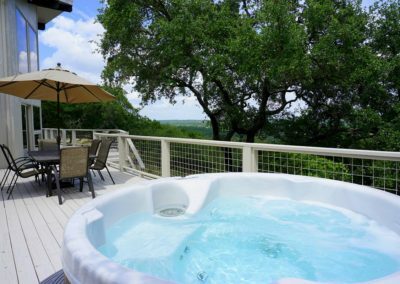 The room has peaceful nature views and access to the deck and hot tub, along with a generous-sized bathroom and closet. 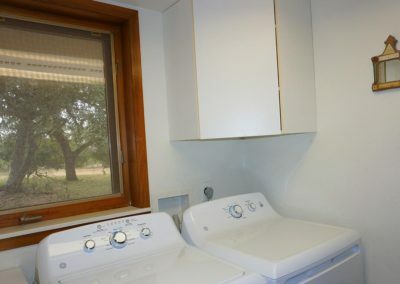 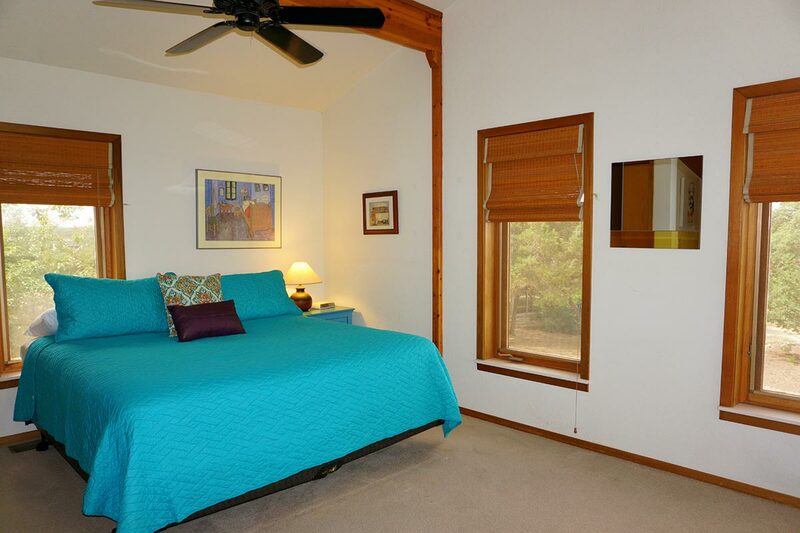 The other two bedrooms have queen beds and large windows. 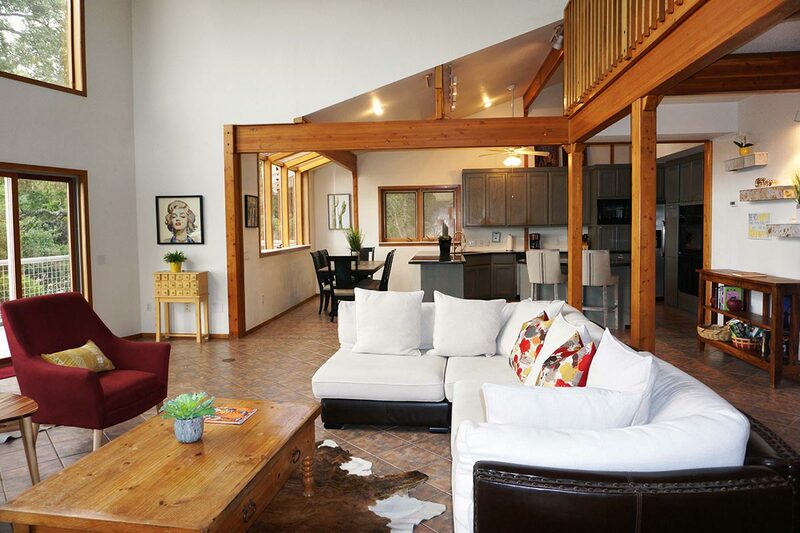 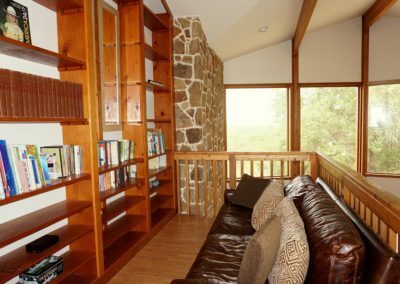 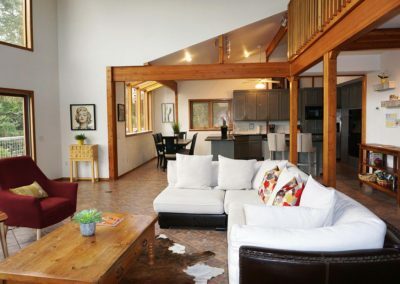 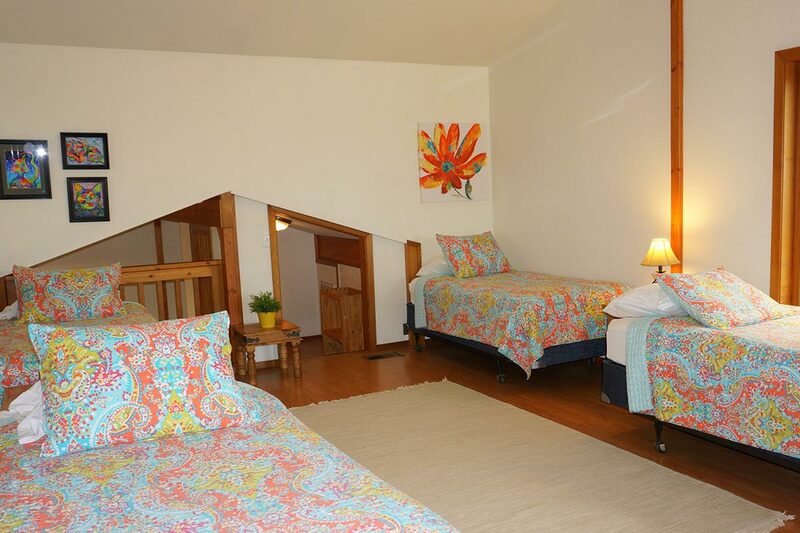 The large upstairs loft has additional twin beds, a library and views that go on forever! 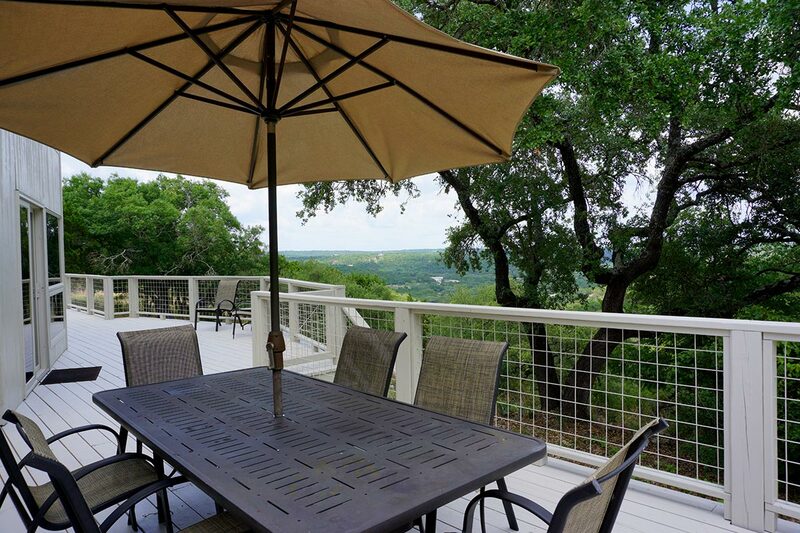 The 600+ square foot fenced deck is perfect for adults and kids alike — bring your balls and delight in the outdoors. 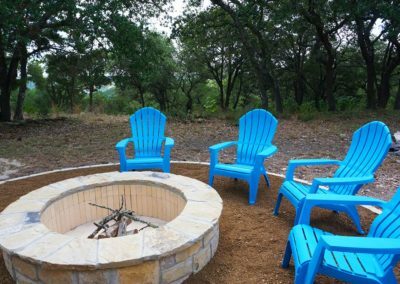 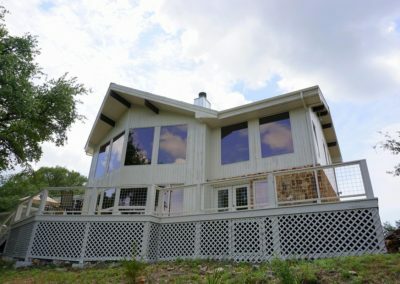 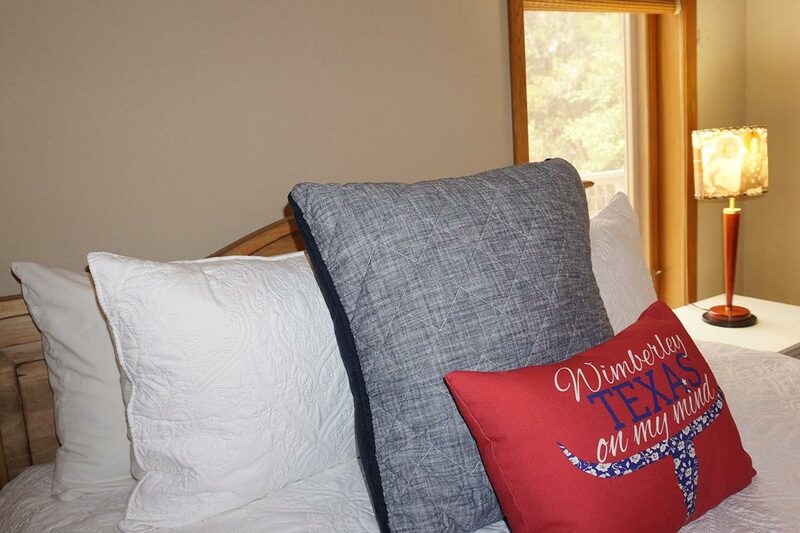 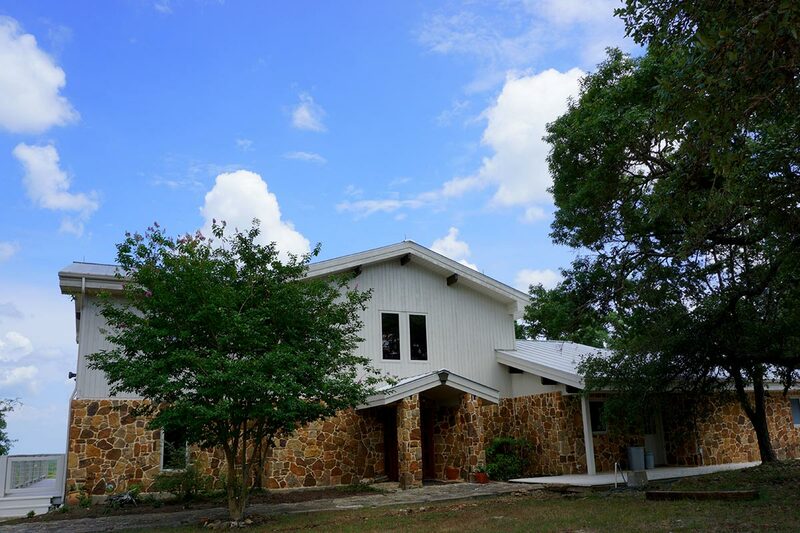 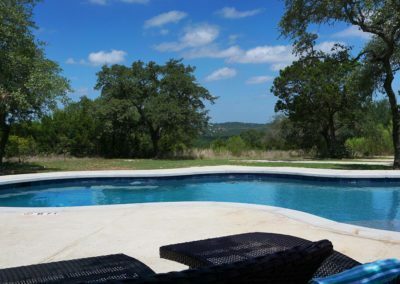 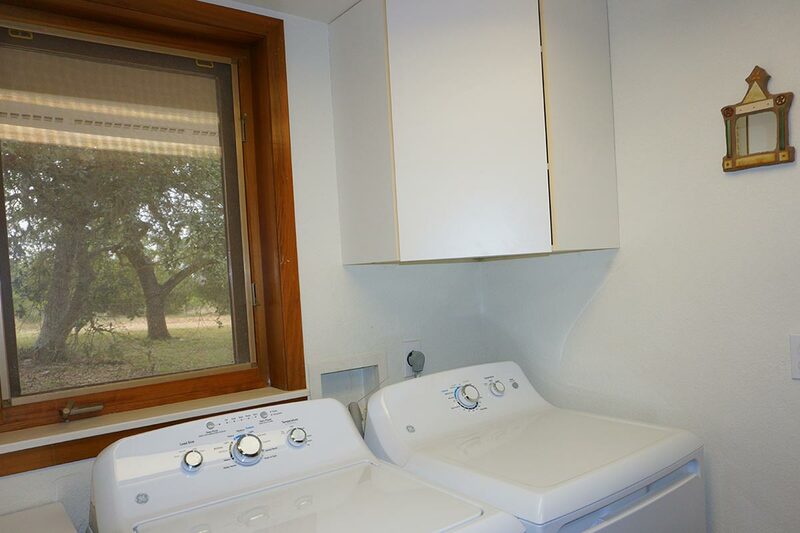 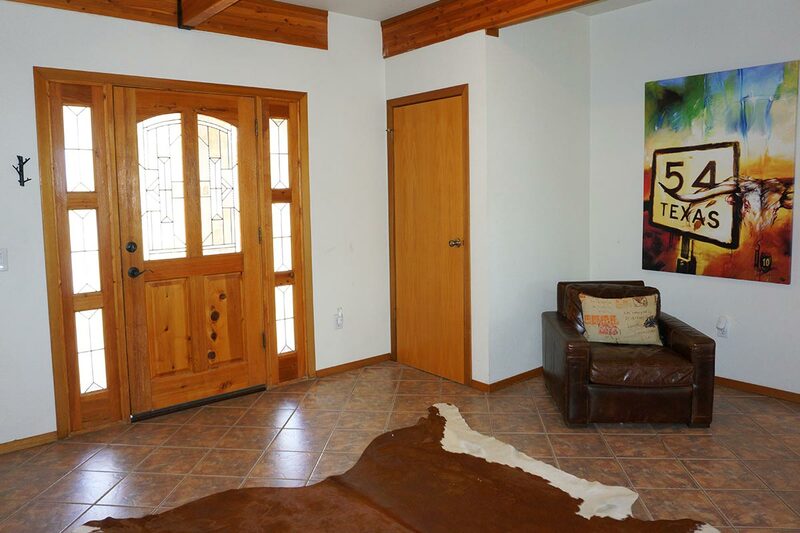 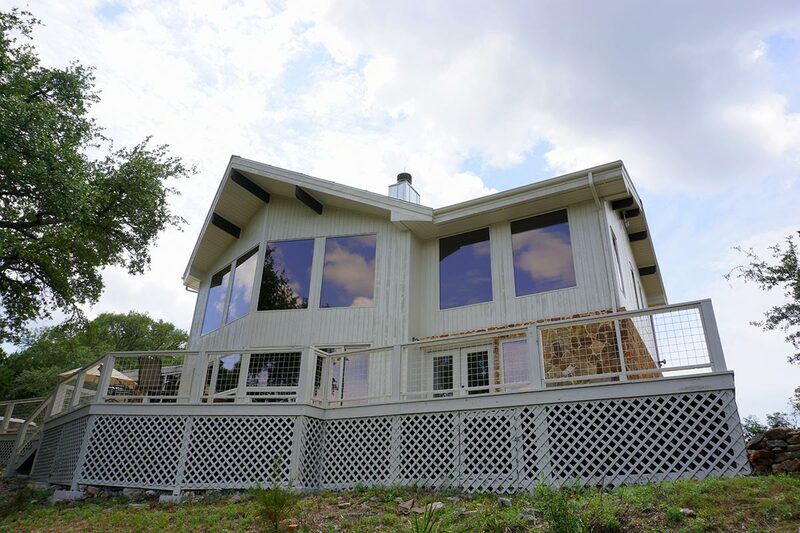 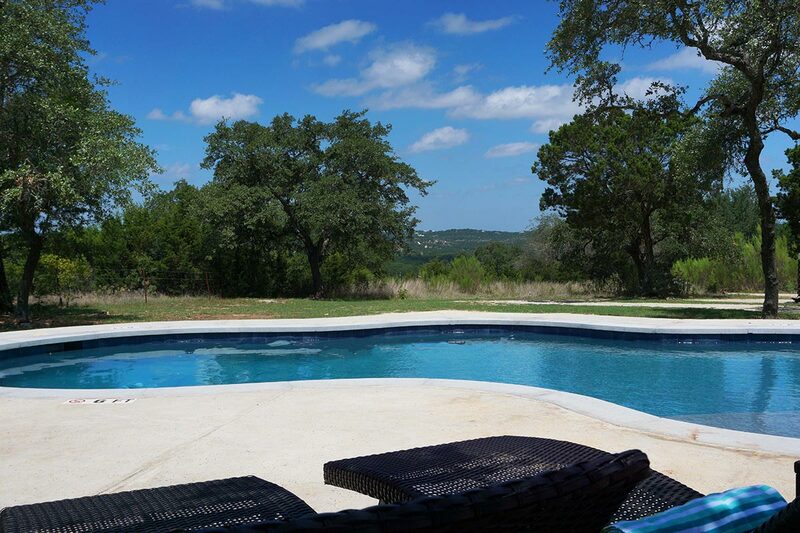 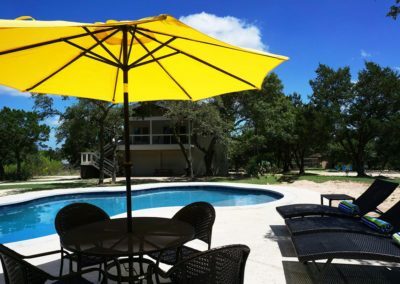 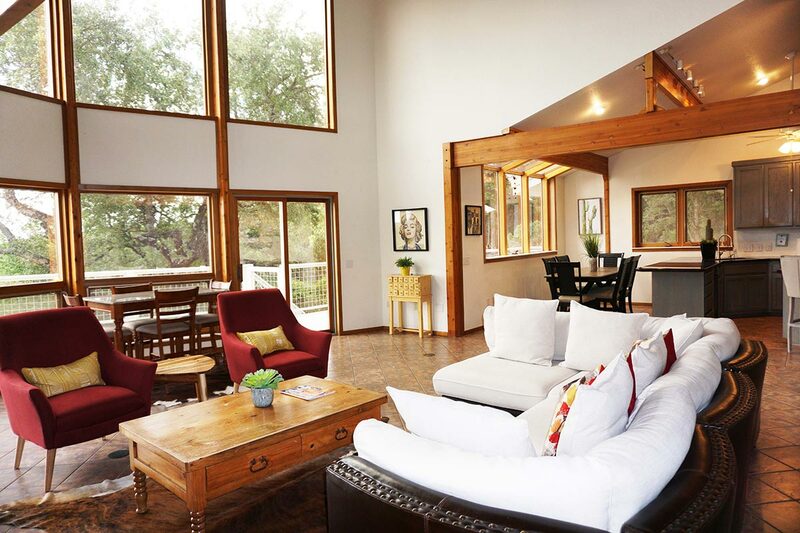 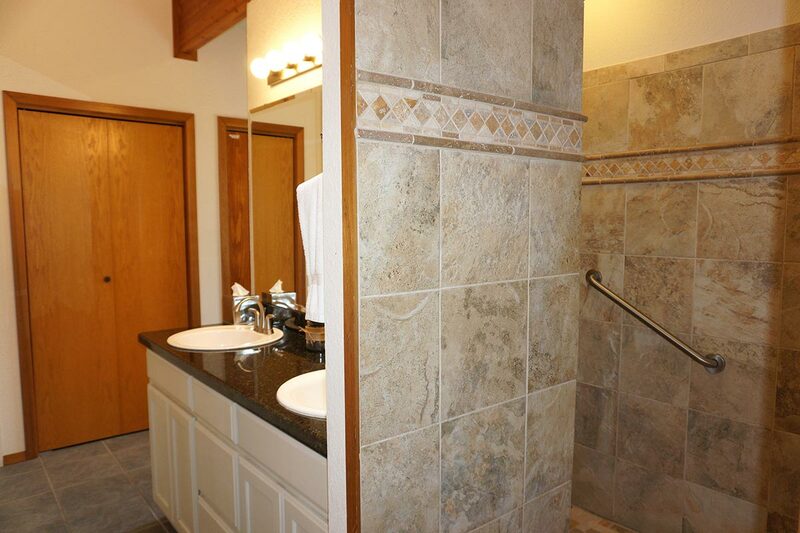 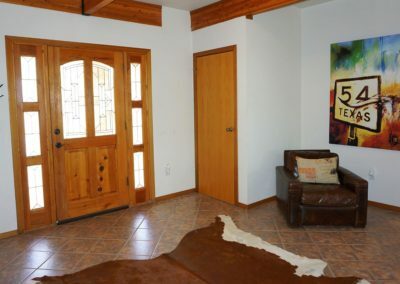 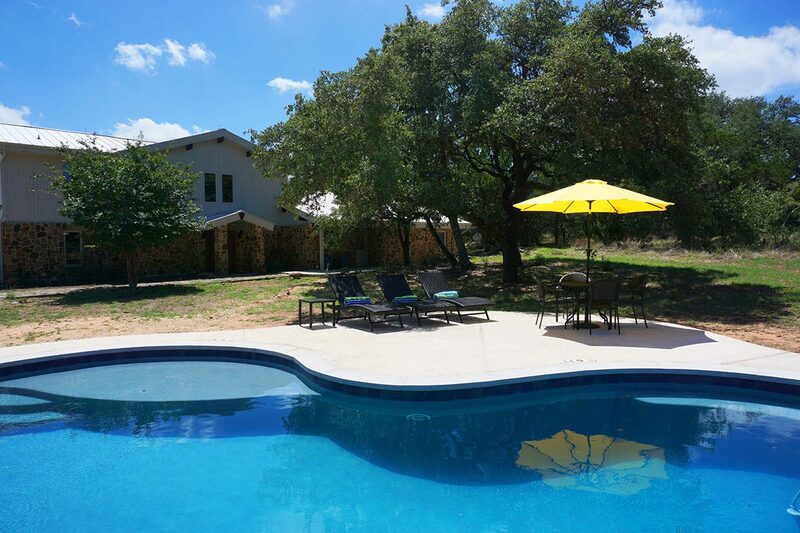 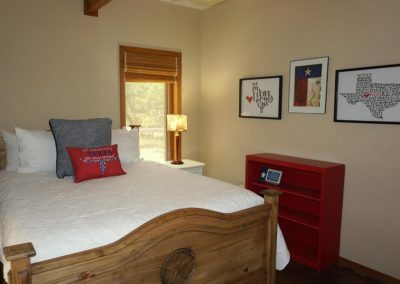 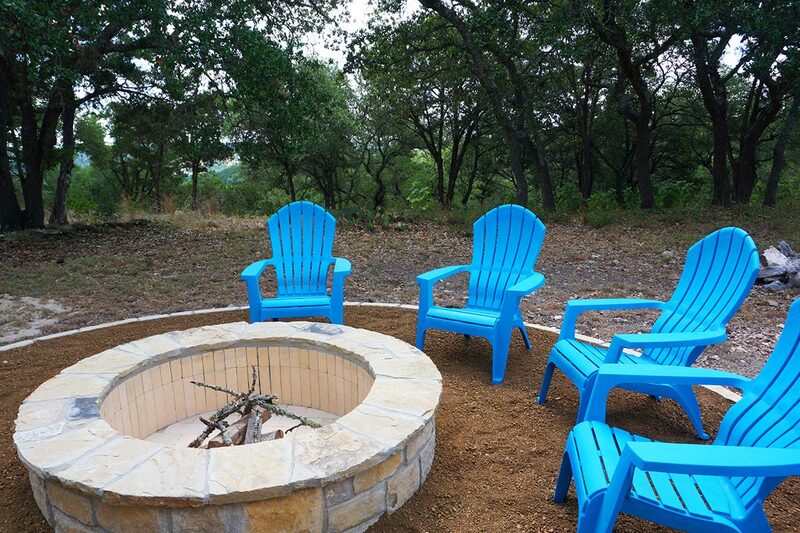 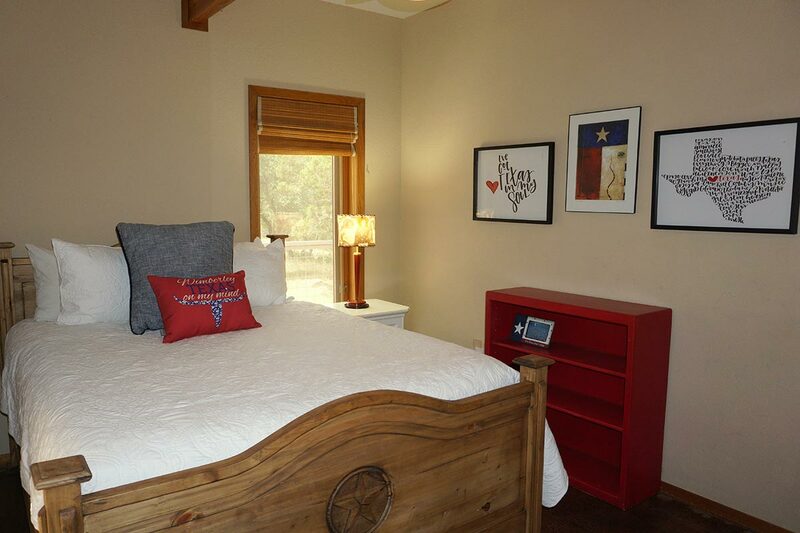 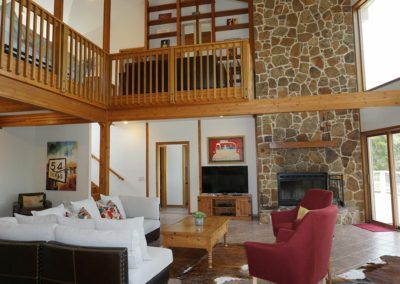 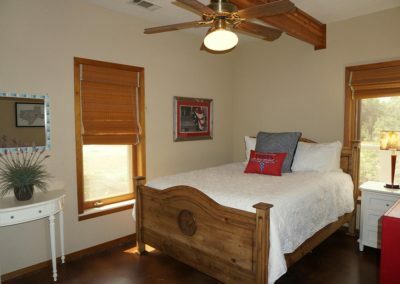 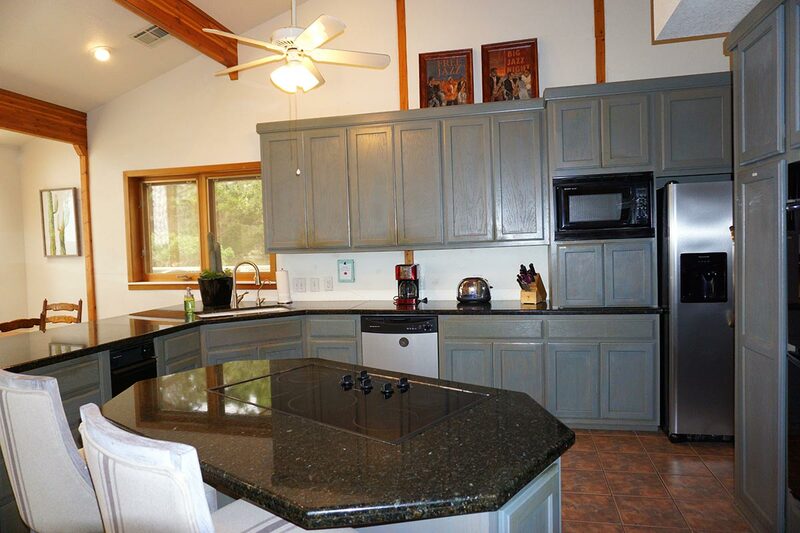 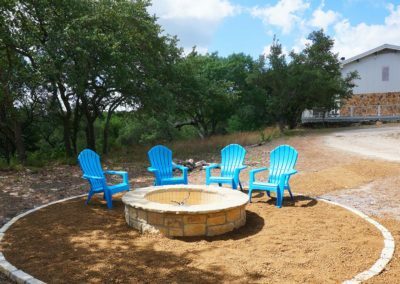 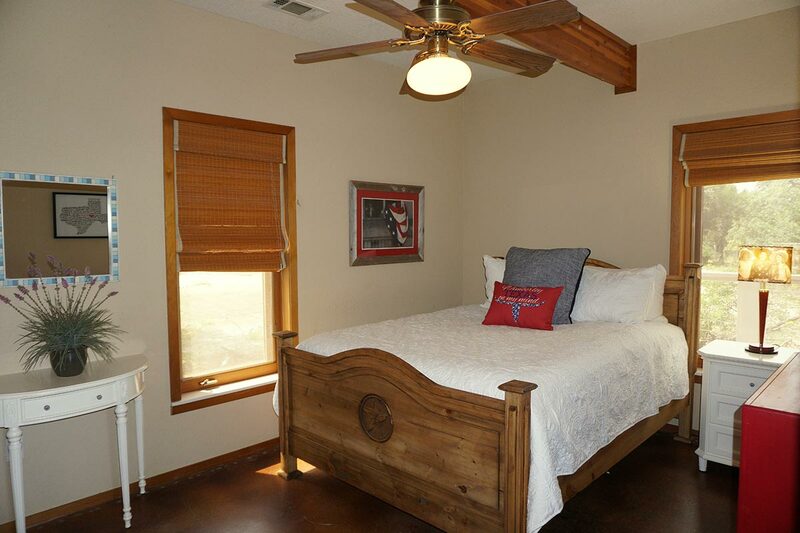 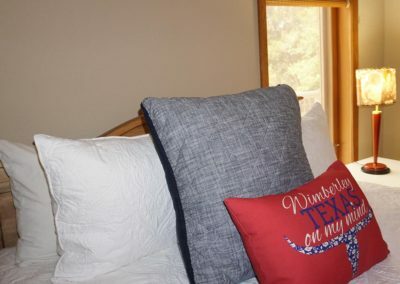 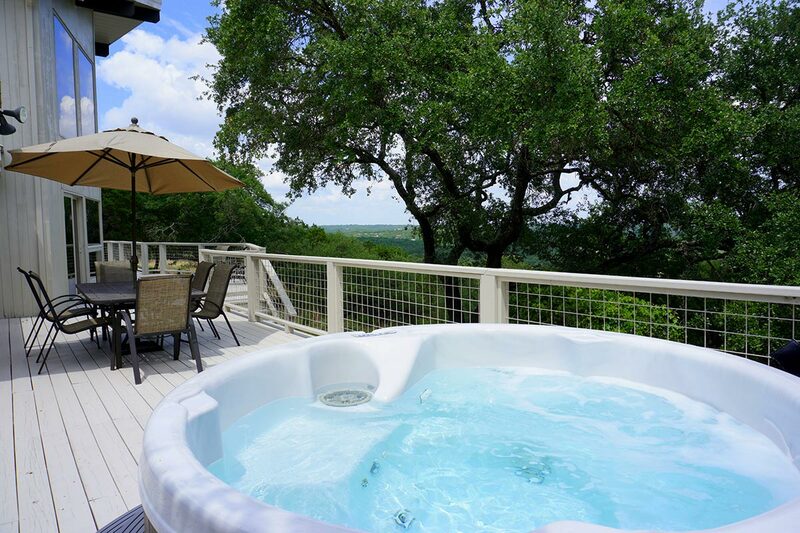 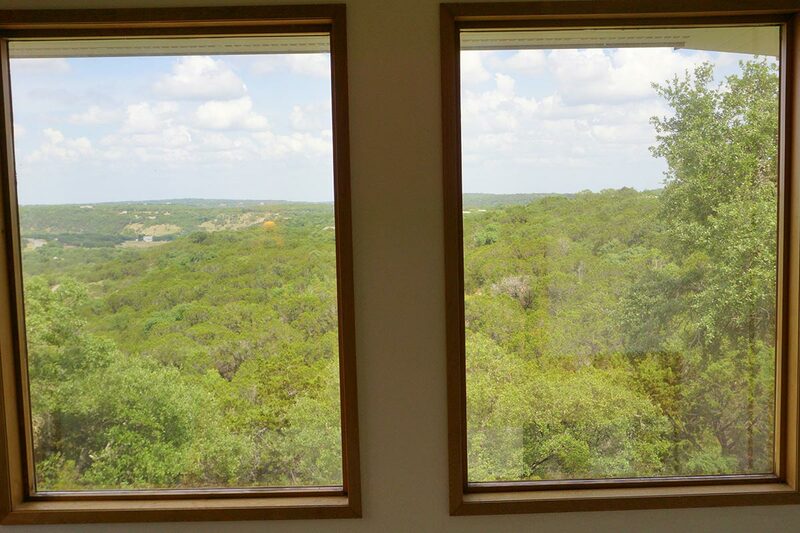 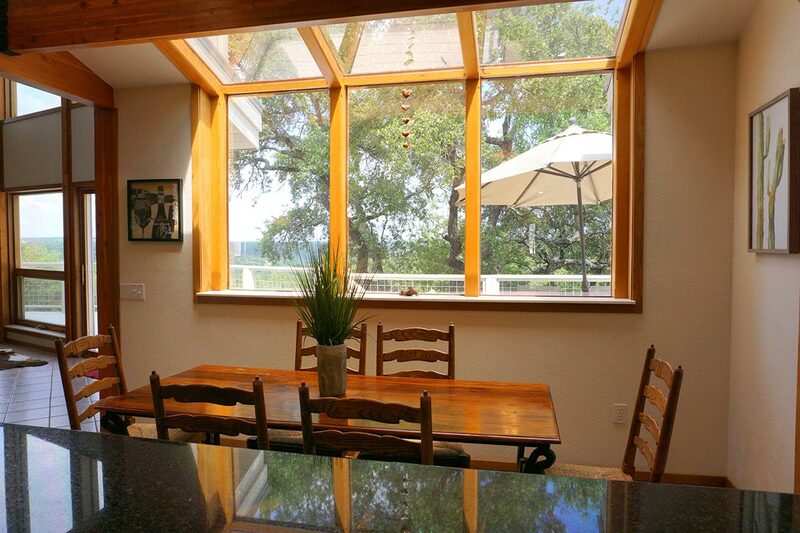 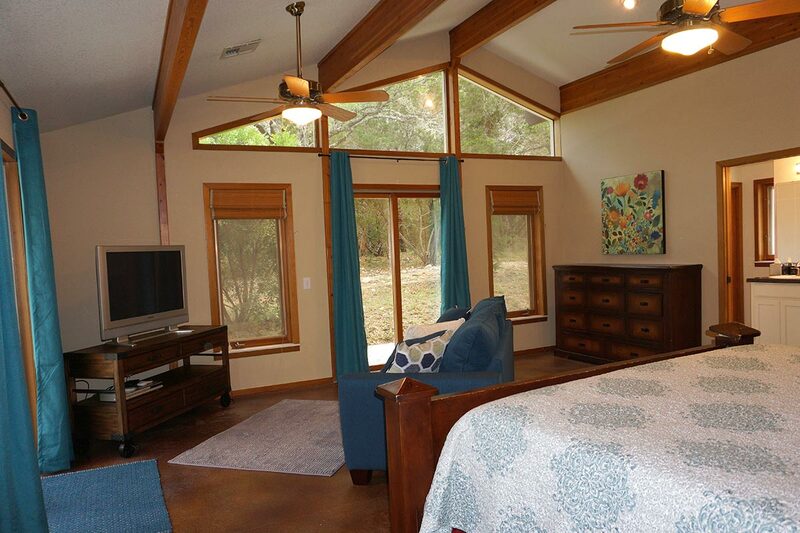 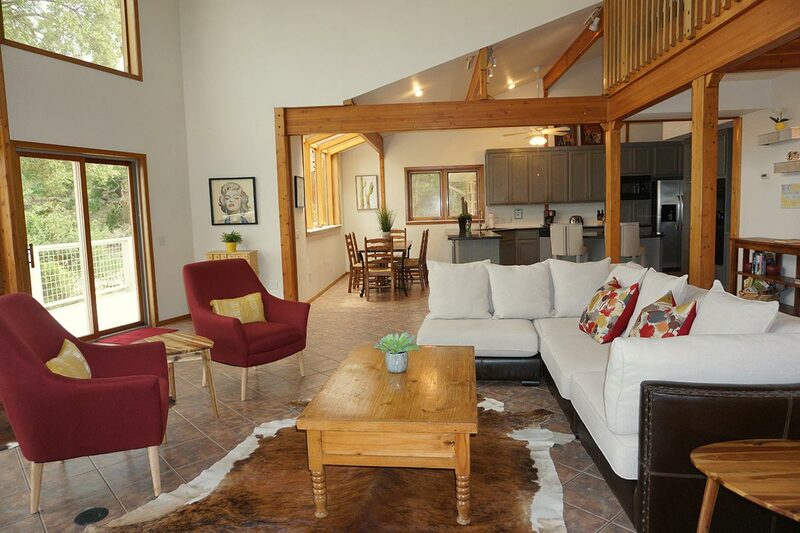 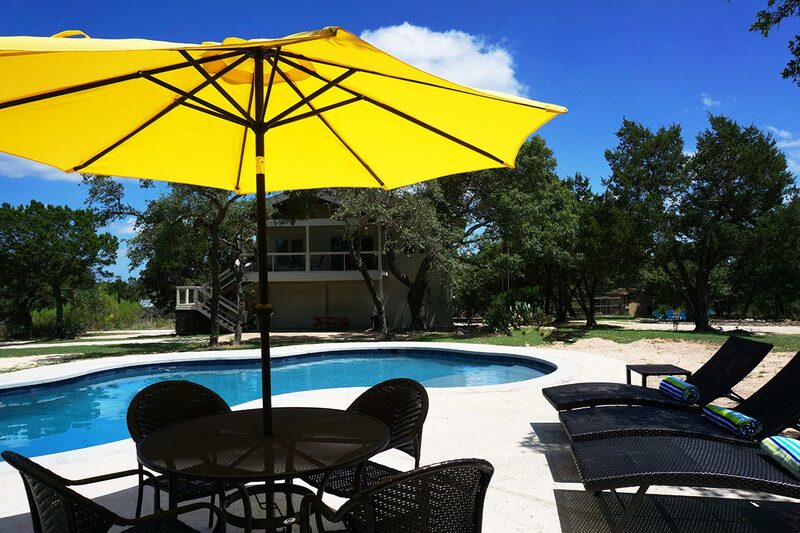 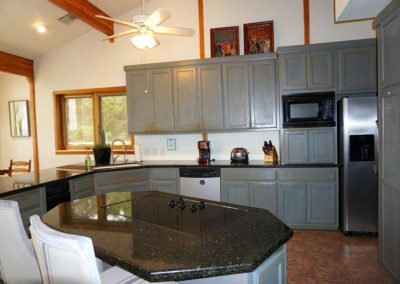 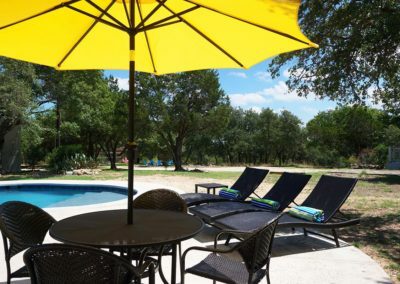 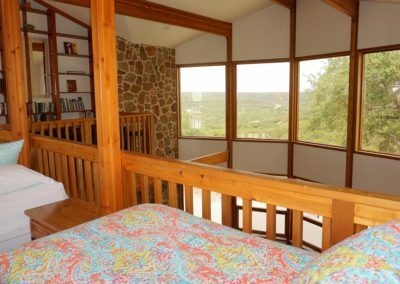 The property is only 3.5 miles from Wimberley with tons of shopping and dining options. 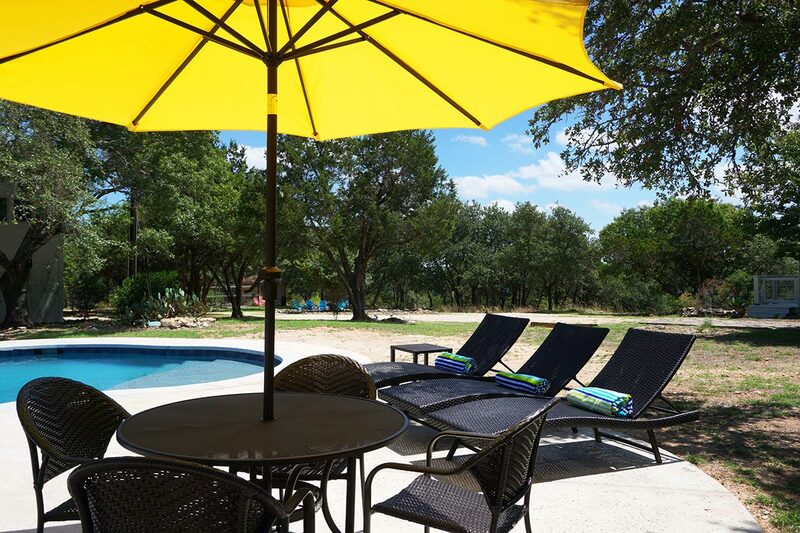 Please call or email for all rules, regulations and cancellation policy.